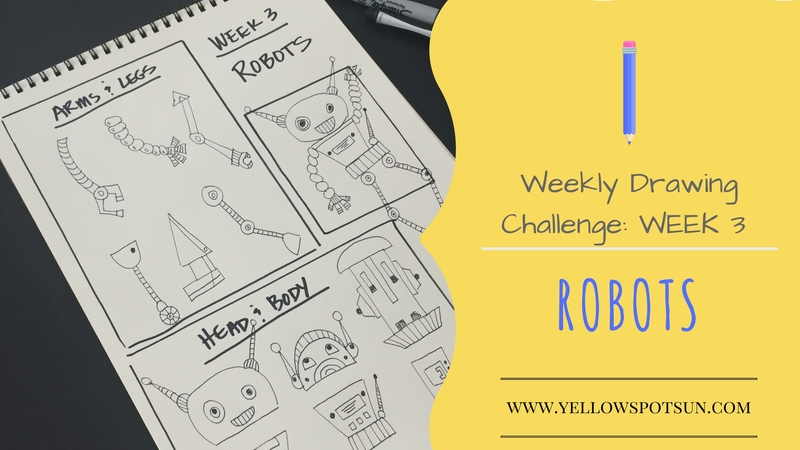 Welcome to the FREE Weekly Drawing Challenge: ROBOTS! Step-by-step video demonstrating how to sketch a robot. Set up your sketchbook page, using squares and rectangles, to draw thumbnail sketches each day. When you practice drawing for 5-10 minutes a day, your drawing skills will improve drastically!